3 to 4 hours... Eventin is outdoors so acousticguitar only please. Boda, horario flexible dentro de las 5pm y las 8pm. Mariachi con vestuario tradicional. Arriving on the music scene in the late 19th century, Mariachi Bands brought an upbeat yet traditional sound to Mexican culture. With a blend of guitars, violins, trumpets, the guitarron, and the vihuela, Mariachi music can truly liven up a party! The upbeat authentic Mexican folk music is the perfect accompaniment for wedding receptions, Cinco de Mayo parties, and so much more. 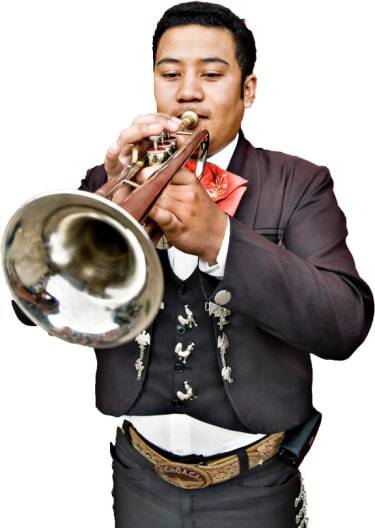 Search for Mariachi Bands in Federal Way, Washington above. Please note that these Mariachi Bands may also travel to Redondo, Algona, Pacific, Milton, Fife, Edgewood, Browns Point, Normandy Park, Burton, Sumner, Vashon, Covington, Seahurst, Tukwila, Fircrest, Bonney Lake, Maple Valley, Enumclaw, South Hill, Olalla, Black Diamond, Fox Island, Southworth, Wauna, South Prairie, Newcastle, Burley, Buckley, Ravensdale, and McChord Afb.